SF Taxi Media: Permanent Medallion Sales Program (General Overview). By John Han. Permanent Medallion Sales Program (General Overview). By John Han. File photo by John Han. This article contains some of the main themes raised by proposals for a permanent medallion sales program. Summaries of the proposals are available at the end of this article. Out of the seven proposals submitted, six of them specifically address the waiting list. The other seventh one, Ruach's proposal, addresses seniority. While all the proposals regard drivers on the waiting list as a major concern, they offer differing ways to approach it. Continue reading to see what they are. Carl Macmurdo, president of the Medallion Holders' Association, and long-time taxi driver Richard Moles, both suggest their own versions of a “Scaled Pricing Method”. That means the people at the top of the list would either initially pay no money, or purchase a medallion at a comparatively low, very low cost. The price for purchasing medallions would then increase incrementally, driver by driver, as offers go down the list to drivers. A “Scaled Pricing Method” would only work with the issuing of new medallions, as no current medallion holder would likely be willing to sell their medallions at a “scaled down” price. To offer a scaled pricing system to the top two hundred or so drivers on the list, two hundred or so new medallions would have to be issued. This raises another point. One may be inclined to think that the decision to issue new full-time medallions should be determined solely by the public's needs for more available transportation. Thus, thorough research, yet to be conducted, should determine whether more full-time medallions are needed, or only part-time medallions... or both. And if it's both, then what the distribution ratio between the two should be. But issuing new full time medallions mainly to address concerns over the waiting list, or to appease taxi-leasing firms that covet medallions, means that new issuances are as much of a socio-political issue, or even a labor issue, and not just transportation. The San Francisco Cab Drivers' Association (SFCDA), Mark Gruberg, and Ruach Graffis each suggest capping the number of transferable medallions. Ruach's proposal would end all sales of medallions beyond medallions already sold. When Pre K and Prop K medallions are returned, they would be re-issued to drivers qualified by age or by time served in the industry, and/or disability. That would do away with the waiting list. Mark Gruberg's proposal doesn't get into specifics but says only that a “certain number or percentage” of medallions should be non-transferable. Luxor's proposal would allow all medallion holders to sell. And the first offers would be made to the drivers at the top of the list. After that, drivers with at least five years experience could become eligible buyers. Ed Healy's proposal says all drivers on the waiting list should get an earned medallion. Item 2: “CONFLICT OF INTEREST. MTA's Gain In Revenue From Medallion Sales. Out of the seven proposals, six of them recommend, in their own different ways, to lower the transfer fees that the City collects from selling medallions, or to stop SFMTA from selling medallions outright. Despite the differing aspects, the common theme may be that the MTA is taking too much cut from the sales. SFCDA, Mark Gruberg, and Ruach Graffis all recommend that the SFMTA should no longer sell medallions outright. Luxor Cab encourages the MTA to continue receiving its current rate of revenue. Item 3: REDUCED DRIVING REQUIREMENT AS AN ALTERNATIVE TO SELLING MEDALLIONS. SFCDA: “We propose that when a medallion holder reaches the age of 55, the driving requirement could be voluntarily reduced to 600 hours and the holder would contribute $100 a month or $1,200 a year to be split between the SFMTA and the Drivers Fund. When a medallion holder reaches the age of 60, the driving requirement could voluntarily be reduced to 400 hours and a contribution of $200 a month ($2,400 a year) would be split between the SFMTA and the Drivers Fund. When a medallion holder reaches 65 or becomes disabled, the driving requirement could voluntarily be eliminated with a $400 monthly contribution ($4,800 a year) to the SFMTA and the Drivers Fund. The medallion holder would still retain the medallion and still be able to drive. To allow for inflation and market changes, these payments could also be set at a comparable percentage to medallion income instead of a dollar figure. All reduced or eliminated driving requirement medallions would be run as gate and gas cabs. This would create stability for companies as well as maintain available shifts for drivers. SFCDA claims its plan could yield roughly the same City revenues as would transfer fees from selling medallions. Carl Macmurdo also proposes to allow, “a very limited number of K permittees”, to reduce or eliminate their driving requirement in exchange for ceding their medallions to the City upon death. Mark Gruberg and Ruach Graffis proposals both include alternatives to selling by having more drivers, or by having all drivers making mandatory contributions to a retirement fund. Luxor does not offer any alternative to selling. I cannot pretend to have covered all the relevant issues involved with a permanent medallion sales program. I have tried to highlight what I consider to be the big three issues. But there is so much more. Below is a copy of the, “Alternate Proposals Summary”, by Chris Sweis, who is chair of the Taxi Advisory Council. As chair, his summary is likely the official summary of the proposals. But also available on this website is Part 1, and Part 2 of summaries I've written, with links to the full texts of the proposals. Number of transferrable medallions is capped at 1/3 of total number of medallions. No more outright medallion sales by SFMTA. Reduced driving requirement with contribution to driver’s fund for older or disabled permit holders. These would also be run solely as gas and gate. A permanent retirement decision can be made of either eliminating the driving requirement or selling the permit anytime after the age of 65. Once the waiting list is exhausted medallions would be distributed according to A-Card seniority. All permit holders are allowed to sell. Once waiting list is exhausted all drivers with 5 years experience are eligible as buyers. Commit hundreds of medallions to be newly issued to individuals on the waiting list without purchase. 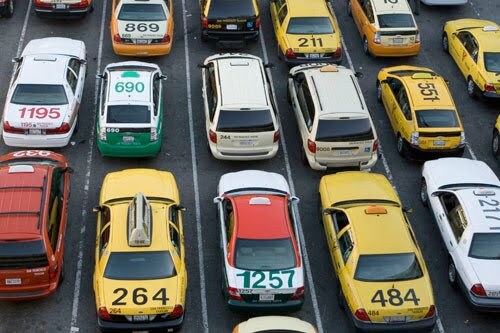 Lease non-medallion permits to operate to Full-service cab companies on 3 year leases. Over 2 years issue 100 medallions to the waiting list without purchase and 100 for purchase with graduated discount for the first 100. Reduction of SFMTA re-sale transaction fee to 5%. Waiver of driving requirement with commitment to sell within fixed time period. One month window annually allowing permit holders to commit to selling so heirs could sell if permit holder dies prematurely. Allowing a limited number of K permitees to retain their permit without a driving requirement after a commitment to return permit to the city upon death. Ability for k and pre-k permit holders to purchase transfer rights by paying transfer fees in advance. Allowing medallion buyers to retain their position on the waiting list and sell a purchased medallion once they are eligible for an earned medallion. Pro-rating the medallion purchase price for those on the waiting list based on their time on the waiting list. Purchase price ÷ highest # of years on waitlist = discount per year. Each person would have their purchase price discounted by number of years on waitlist x discount per year. Transfer fees would also be pro-rated. Newly issued medallions and revocations should go to drivers on the waiting list without purchase. Age for selling a medallion should be lowered to 65. All taxicabs should be operated as gas and gates. Transfer fee distribution should be changed to 10% for MTA and 10% for Driver Fund. All revenues generated from the taxicab industry should be re-invested in the taxicab industry. Creation of a cab driver’s bill of rights. Issuing temporary sedan medallions to ramp permit holders who have served the disabled community for 7 years and re-issuing ramped medallions to the bottom of the waiting list. Re-issued ramp medallions will be permanent ramp medallions. Driver Fund to be created to help with medallion purchases and subsequent healthcare for drivers. $50,000 payment into fund will allow permit holders to auction medallion rather than sell for fixed price. Medallion prices should remain regulated at 250K with adjustments for inflation. Medallions should be issued exclusively to qualified cab drivers. A percentage of medallions should remain non-transferrable and issued to qualified cab drivers without purchase. Medallion holders should be given the choice between selling their permit or relinquishing it for continuing income. An elected or appointed board of directors comprised of drivers should manage the driver fund. SFMTA should not have a financial interest in medallion sales. Only Single Operator Medallions will be newly issued moving forward. Permit holders pay into the driver’s fund based on the type of medallion they possess. Ramped medallions will be issued directly to companies. so much stuff. Thanks for devoting your time. Thank you for posting an outline of these plans. You have done a great job. I would like to add a few thoughts which I'm sure is on the minds of the hundreds who have purchased their medallion for $250,000 over the last year under the pilot program. Will any of these plans consider grandfathering us in? Those who purchased their Medallion have a huge liability on their hands compared to other medallion holders. If they get sued, they stand to lose their whole investment. Those who were given earned medallions don't face this risk as the medallion is actually owned by the city until they sell. Those who would get a discounted medallion under one of these plans by years of driving would only lose their discounted price of the medallion. What these plans will create is a 4th class of medallion holder. This is divide and conquer by 4. Each with with different financial interests. This will force those who bought at full price over the last year to form a new lobbying group to push issues important to them. Not necessarily those of other holders. Please, no hateful comments about how we were fools to buy at $250,000. We are all Taxi Drivers and need to stay united! Believe me, it was an agonizing financial decision to make. Made more difficult by uncertainty of the time and ever changing rules of the pilot program. You should put this view in writing that can be distributed at the TAC meeting. And, if you don't mind me saying, put together a proposal that at lays out at least some broad idea on how to grandfather in Prop A holders. Insurance is why a medallion holder need not be concerned. Buying a medallion should not be agonizing. If the co. gives you $2300 a month for the use of it what would the buyer have to lose? It's just like a house in that the tenants are paying the mortgage. How far do you think a one million dollar insurance policy will go if a kid steps in the street and gets hit? You obviously haven't spent $250,000 of your own money on a medallion. Have you? I have an income from my medallion that could be taken so there is no difference. Do you think plaintiff is going to somehow end up taking the medallion so that the plaintiff is going to be a med. holder and therefore if anybody paid the whole $250k they lost all their money? I've been in the business a very long time and I know of no case where the limits of the policy did not satisfy the plaintiff with one possible exception. The 11 million dollar Yellow Cab case and I don't know how that worked. I would not be surprised if Yellow did not make an error that caused them to be more exposed. National Cab pulled bankruptsy twice many years ago and kept right on rolling. Anybody running a cab co. should understand these things.